The UK currently has 15 nuclear reactors that generate almost a quarter (21%) of the nation’s electricity, but the government is planning to halve this capacity by 2025, and replace the old system of large, centralised power plants with a more widely spread network of smaller reactors. These ‘mini reactors’ are expected to offer energy a third cheaper than the current, giant plants - which makes the decision to press ahead with Hinckley Point C a little confusing, particularly as it’s now £1.5 billion over budget and a year behind schedule. A nuclear energy plant produces electricity in much the same way as any other alternative power plant - creating heat to boil water, which produces steam that is then used to drive the turbines and produce electricity. The main difference between a nuclear-fuelled power plant and other plants is the source of heat, as nuclear plants use uranium fuel and produce heat through a process called fission. Fission occurs when uranium atoms are split which is safely undertaken in a nuclear reactor. 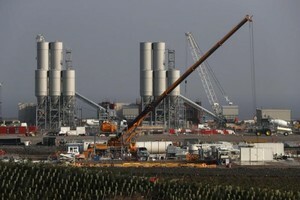 The nuclear power industry is a very mature industry compared to any of its rivals. Renewable energy sources, such as solar, wind and hydropower, are still relatively new energy industries and require a considerable amount of resources and knowledge before a plant is actually installed. The evidence across six decades of nuclear power suggests it is a safe means of generating electricity, and the risk of accidents in nuclear power plants is low and declining. According to International Atomic Energy Agency (IAEA), nuclear reactor accidents have not caused any deaths aside from the Chernobyl disaster, and the chances of a nationwide nuclear accident are very slim with the technology used today. Even though nuclear power relies on uranium rather than renewable energy sources, it is a very dependable energy source because it does not depend on environmental conditions. And nuclear power has many economic advantages, compared with energy plants that run on fossil fuels - a newly built plant, for instance, is expected to run at least 60 years and usually is cheaper to run than other fossil fuel powered plants. The initial construction and nuclear waste disposal costs are two of the biggest expenses faced by nuclear power plants, and expenses that can’t be avoided, but nuclear power generates a million times more power than a fossil fuel plant. In addition, due to lower transmission costs per kilowatt-hour, power derived from a nuclear reactor is 15-40% cheaper compared to wind power and up to 80% less expensive than solar energy. Is nuclear energy environmentally friendly? The greenhouse effect is a common concern around the world. According to Nuclear Industry Association, for each kilowatt-hour of nuclear electricity, 5g of carbon dioxide is emitted, compared to around 365g from gas fired power stations, or 900g from a coal-fired power station. Nuclear power plants are not heavy polluters but do come short compared to solar or wind power, therefore, it is not considered as a ‘green energy’ itself. What does Nuclear Energy mean for domestic energy prices? 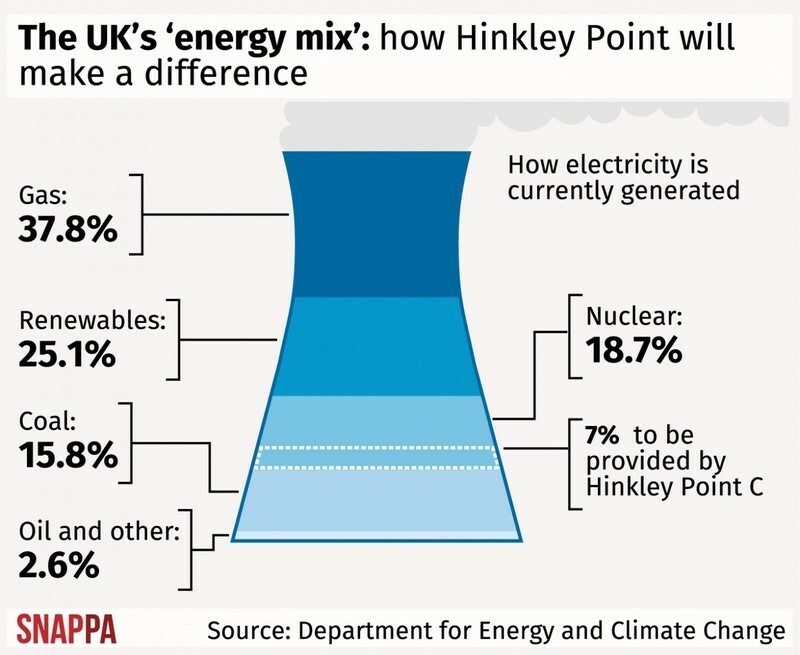 Hinkley Point C comes with the promise of environmentally friendly and low cost energy, but British consumers could still be hit with higher tariffs – up to three times higher – to pay back the French and Chinese subsidy costs for the next 35 years. However, EDF Energy suggests that the new nuclear power station will create over 25,000 new employment opportunities and attract new investors to the UK. Once the construction is completed, the new nuclear plant will be able to provide 7% of the country’s electricity for the next 60 years and significantly reduce the UK’s greenhouse gas emissions. If we concentrate on the proposed network of ‘small module reactors’ (SMRs), then we could be looking at energy production that costs around two-thirds of that produced by large-scale plants, such as that at Hinckley Point C (when it’s eventually finished). However, despite being earmarked for £250 million of funding in 2015, as part of a push to develop ‘innovative nuclear technologies’, this promise hasn’t been met and the government has failed to even publish results of the first phase of the competition, which was expected a year ago. It’s unclear when the first of these SMRs will be up and running, if at all, but Rolls-Royce, which is bidding for a slice of the competition funding, has outlined to the House of Lords that it would hope to deploy a small modular reactor in the UK by 2028, with sufficient government backing. The Welsh and UK government have announced plans for a £40 million facility at Wylfa Newydd on Anglesey, north Wales, to support the design of advanced nuclear technologies, alongside investment in technology to reduce the high cost of the sector and bring down energy bills. And this is in addition to a £200m UK government nuclear sector deal to be launched in Trawsfynydd, Gwynedd. Up to £56m for research and development for "advanced modular reactors"
Business and Energy Secretary Greg Clark said: "This sector deal marks an important moment for the government and industry to work collectively to deliver the modern industrial strategy, drive clean growth and ensure civil nuclear remains an important part of the UK's energy future." What are your thoughts on nuclear energy? Get in touch via our Twitter or Facebook page and let us know.